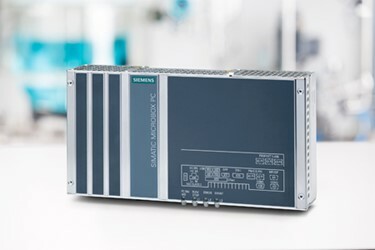 With SIMATIC PDM Maintenance Station V3.0, Siemens offers an optimal tool for efficiently monitoring the condition of smart field devices, irrespective of the automation or control systems used. SIMATIC PDM is a universal, non‐proprietary tool for the configuration, parameterization, commissioning and monitoring of smart field devices. The maintenance station is based on the SIMATIC DCS PCS 7 maintenance system but is now available as a standalone system. MS can run independently of the both the customers’ automation control projects as well as with complete autonomy from the PLC/DCS process control systems being used. SIMATIC PDM MS is designed to be used for, diagnostics, tool management, acquiring and transferring parameterization and status data of smart field devices. There is no need for intgarting the MS into the system architecture of the control system as the maintenance station can access HART field devices and components connected via HART multiplexers or communicate via wireless HART. The smart device integration is based on the DD/EDD/FDI technology for field devices. Device data is cyclically read from the smart field devices and can be displayed via an HMI. SIMATIC PDM MS can also be used directly with a Simatic plant bus where it will communicate directly with the field devices via the Series 3xx, 4xx, 15xx SIMATIC controllers. If this is not optimal, an independent communications network for the SIMATIC PDM MS can be also utilized. Siemens Corporation is a U.S. subsidiary of Siemens AG, a global powerhouse focusing on the areas of electrification, automation and digitalization. One of the world’s largest producers of energy-efficient, resourcesaving technologies, Siemens is a leading supplier of systems for power generation and transmission as well as medical diagnosis. With approximately 348,000 employees in more than 190 countries, Siemens reported worldwide revenue of $86.2 billion in fiscal 2015. Siemens in the USA reported revenue of $22.4 billion, including $5.5 billion in exports, and employs approximately 50,000 people throughout all 50 states and Puerto Rico.